With equivalent adsorption rate and capacity as traditional, loose-fill canisters, Multiform CSF canisters are a more compact and efficient way to control moisture and volatiles. These effective moisture and odor control regulators help preserve the physical and chemical stability of your drug product, medical device, or dietary supplement. 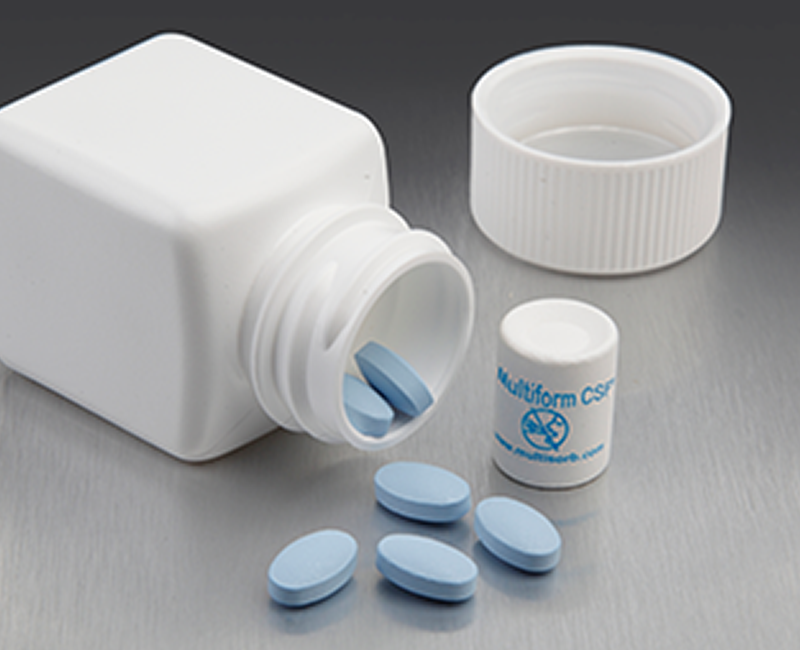 Multiform CSF canisters utilize a unique compressed, solid-form design with pharmaceutical grade coating. This careful design offers cost savings over traditional, larger loose-fill canisters. Choose the right material and size to meet your adsorption rate and capacity needs. 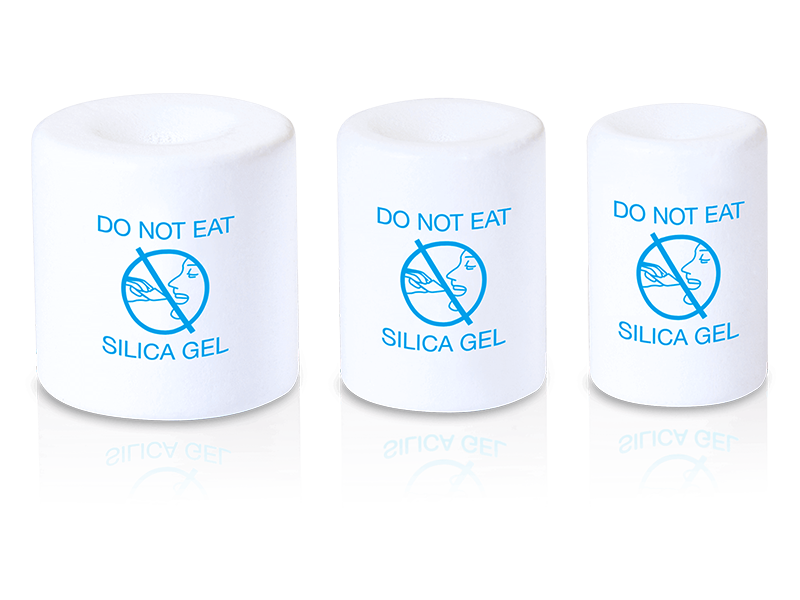 Choose from silica gel canisters or custom blended canisters available in three sizes (C-1, C-2, and C-3). Customer specific sizes and shapes can be designed to meet your company’s requirements. The high quality, virtually indestructible design of these non-dusting, non-separating desiccant canisters ensures that your products are never compromised. Multiform CSF canisters provide equivalent or better capacity and adsorption rates over competing traditional canisters. Multiform CSF Canisters are available in variety of sizes that run on all canister dispensers. Multiform CSF canisters feature pharmaceutical grade HPMC coating and are manufactured using FDA approved (21 CFR-compliant) materials. We maintain a Type III Drug Master File (DMF) on file. This ultra-strong, highly durable moisture absorber provides reliable protection from moisture and organic vapors in the tiniest spaces. The DesiMax desiccant label is your solution to low level humidity-related problems in a wide variety of packaging applications.